As more people use Google to search for solutions for issues in their daily lives, it’s only natural for searches on healthcare to grow in frequency. It’s already a recognised practice – people researching health issues they suspect they may have on “Dr Google” in an effort to self-diagnose. But what about the people who want to find an actual GP near their home or work? Or a Physio? Or a Dentist? Do you think they’re still looking up listings in the Yellow Pages? Sure, a few people still might. Word of mouth? That’s still relevant. But the reality is 1 in 2 Australians found a health professional in 2014 using Google. Why? Because the vast majority of Australians have instant access to the internet and search engines. Whether at home on a tablet, at work on a desktop computer, or travelling and browsing on a smartphone, people can access information within a few key strokes or finger taps. It’s convenient. It’s fast. It’s (generally) accurate. So knowing that people are using Google to research their next health practitioner, what can you do to take advantage and grow your practice? As one of HealthEngine’s Search Marketing specialist, I recognise the importance of health practices having a strong presence on Google to ensure they attract new patients and retain existing ones. Search Marketing is the only way to place practices in the most prominent results on Google, especially in competitive areas and disciplines. By securing these premium listings on search engine result pages, practices are able to take a bigger slice of the pie directly from Google, increasing new patient referrals while maintaining a strong presence in search results for their related discipline. Search Marketing is unique in its ability to put the advertiser’s message in front of a prospective customer at the very instant they’re searching for what the advertiser is selling. This incredibly powerful synergy between user intent and marketing opportunity is the reason Search Marketing is, and will remain, the most effective form of online marketing. Try it. For example, “Doctor in Fremantle”. Is your business appearing on the first search result page? 75% of internet users never scroll past the first page of Google results, so listing on the first page is crucial to driving more patients to your practice. Search Marketing works best with websites that contain detailed, specific landing pages which provide helpful information about the kinds of services and specialisations offered. Using the HealthEngine Online Booking System Widget gives prospective patients the opportunity to book instantly, so we always recommend the widget is included on landing pages for Search Marketing campaigns. The most important tip is to simply give it a try. A three month trial of a Search Marketing campaign will give you the perfect time frame to decide if Search Marketing is right for your practice, while not locking you into six or twelve month contracts. 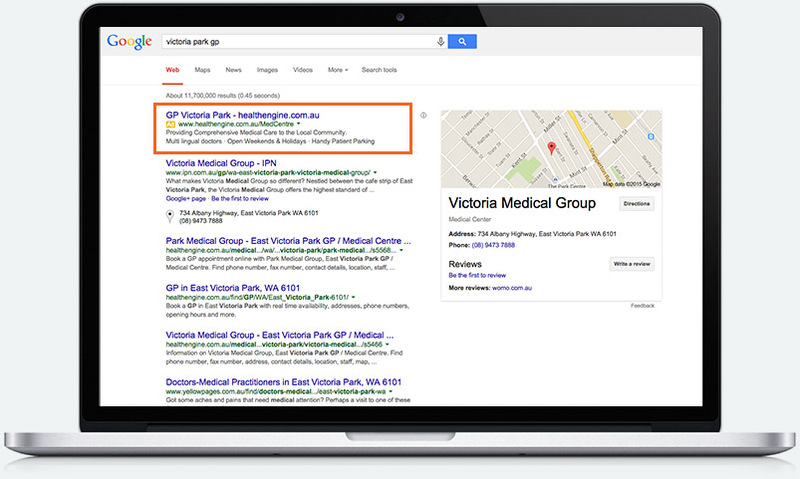 If you’re looking to stay ahead of your competitors and drive an increase in bookings in your practice, speak to one of our friendly Search Marketing Specialists on 1300 308 943 or click here to find out more. David Sims is focused on the digital marketing strategy for the Product team at HealthEngine. 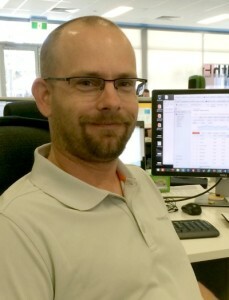 His challenge is to drive traffic and bookings to both the HealthEngine website as a whole, and to our SEM customer profiles or external websites. He believes in utilising the latest digital strategies and platforms, and best practice methodology.